Ashina Elite - Jinsuke Saze is one tough boss to beat in Sekiro: Shadows Die Twice. Near the top of Ashina Castle, you can find Jinsuke Saze, also known as the Ashina Elite, waiting for you. 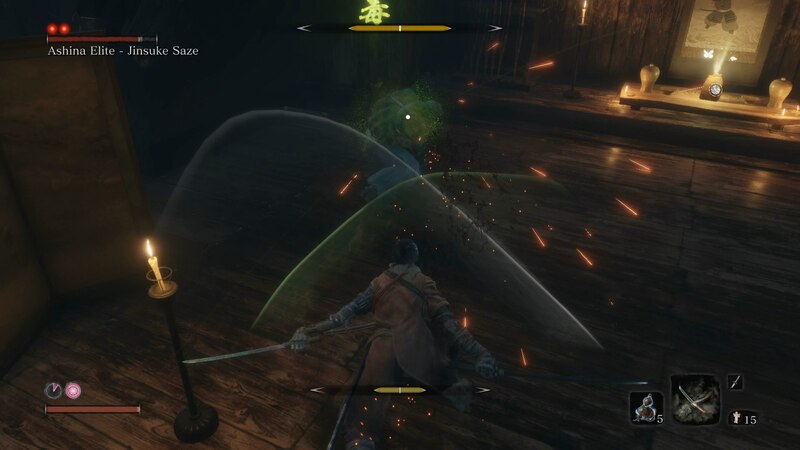 In our Sekiro Jinsuke Saze boss guide, we'll be taking you through how to beat Jinsuke Saze, also known as the Ashina Elite, as easily as possible. To begin with, we'll be providing you with some essential tips for how to beat Ashina Elite Jinsuke Saze in Sekiro. The Ashina Elite can let loose two rapid attacks at once, both of which you'll need to deflect. When he walks towards you with his hand on his sheathed sword, the two attacks are coming. The Firecracker is excellent for stunning the boss and letting you get in a few hits. The Sabimaru is also great for poisoning the Ashina Elite, but it will take multiple hits. Near the very top of the Ashina Castle area of Sekiro: Shadows Die Twice, you'll encounter the Ashina Elite - Jinsuke Saze. He's one tough seasoned warrior, and his primary method of attack is one of a samurai-slashing out with his sword in clean arcs with barely a moment's notice. Jinsuke Saze walks towards you with his hand on his blade, sheathed behind him. You need to be watching his blade at all times in this battle, because as soon as it flashes, he's going to attack you with two very swift slices, back to back. Get ready to tap the left bumper to deflect the two attacks immediately. If/when you've successfully parried Jinsuke Saze's two attacks, now is the time for one quick strike, before backing off again. If you've found the Sabimaru Prosthetic Tool for the Shinobi Prosthetic at this point in Sekiro, we'd absolutely recommend taking it with you to this boss fight. After you've deflected Saze's attacks, lay into him with a quick few swipes of the Sabimaru to raise his Posture meter but also to poison him. Deflecting the rapid two attacks, and then striking back with the Sabimaru is your best option for completing this fight. Successive attacks with the Sabimaru after parrying the boss will quickly raise the Posture meter, and you'll need to do this twice if you want to take Saze down for good. Although Saze has two phases, his attacks don't change at all during the second phase. Keep on the backfoot, let the boss advance towards you, and keep watch for that flash of silver from his blade. 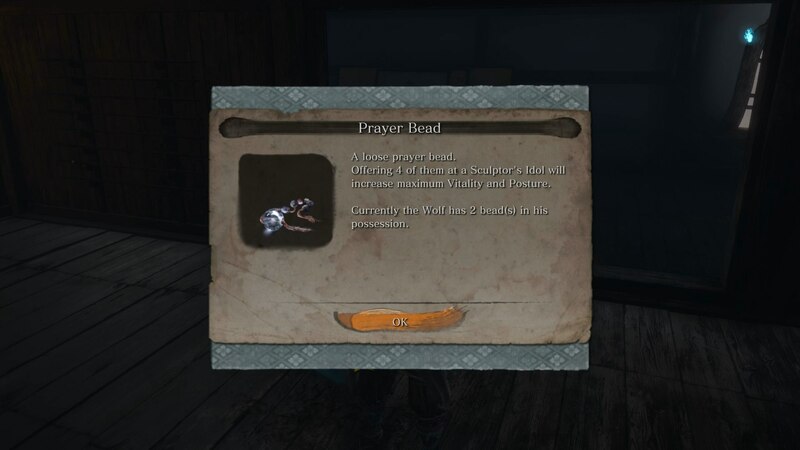 Stick to this process, and you'll have little trouble taking Saze down, acquiring a Prayer Bead from him for your troubles. 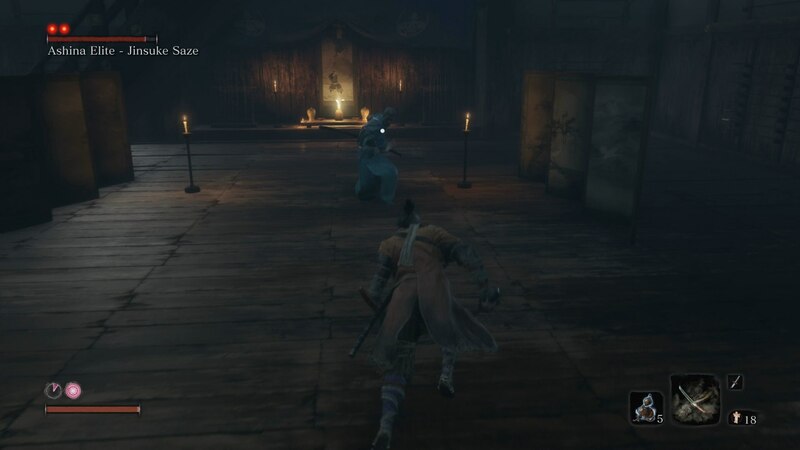 As we mentioned above, one easy method of completing the fight against Jinsuke Saze in Sekiro is to use the Sabimaru. While using this Prosthetic Tool can't physically kill the boss, it can take his health all the way down to one hit, if you stack up the poison damage, then back off, letting the poison damage take hold. Alternatively, we've seen people repeat a pattern with this boss. If you dodge to the left when he does one attack, and then attack him immediately, you'll get him to do another attack straight away. Simply repeat the process of dodging to the left and attacking with one hit, and you'll have this fight over with.